Is it just me, or have you noticed a bunch of new equipment in your gym, too? Heavier kettlebells, more machines, different sizes of medicine balls… If used correctly, I’m sure each piece would have an important role in an effective training program. But let’s not get distracted by shiny object syndrome. Let’s pretend, for a minute, that you had to stick to the fundamentals. Your goals remain the same: add as much muscle, and become as strong, as humanly possible. With those goals in mind, this added equipment loses its lustre. Adding strength and mass is a numbers game. Ultimately, it comes down to how much hypertrophy you can stimulate, and how much volume you can tolerate. When you use movements that don’t allow you to move as much weight, you must compensate by adding more movements and/or more volume. While I know that DB deadlifts are fine, and have their place in a training program, they’ll never be as effective for building overall strength and adding mass to the places that matter as a heavy deadlift. For example, the amount of stabilization and core strength needed to safely move 400lbs for reps is much different than 100lbs held in each hand, even if the movement pattern is the same. This does not mean, however, that lifting at near-maximal poundages/percentages is optimal. In fact, it’s the opposite. That’s a recipe for chronic fatigue and injury. On the other hand, you don’t want to lift too light. You’ve got create some stimulus on your muscles in order for them to grow. How then, to commit to the barbell and the compound movements that yield so much benefits, while still moving weight in a meaningful way? Let the foundation of your training be the reverse pyramid. In this method, your heaviest set of each movement is your first set. This makes sense. You’re body is fresh, muscles prime but untaxed, and your focus full. In each subsequent set, you drop the weight by either 10% (for heavier movements, such as deadlift, squat, and row) or 5-7.5% (for lighter movements, like the overhead press and bench press), while adding one rep more than your previous set. By design, this puts each muscle group through various set ranges, and brings you the benefit. In each movement, you move through traditional strength rep ranges (4-6, 6-8 reps) all the way through muscular endurance ranges (10 reps+). This means you activate both fast twitch type II muscle fibers and slow twitch type I fibers. Want maximum growth? Then this is the system for you. Now, the barbell doesn’t just lock you into essential/foundational lifts, like the squat or bench. With creativity, it can also be used for auxiliary/supporting movements. While the heaviest back exercise with the barbell would be the bent over barbell row, it can also be used for barbell curls. You can add lunges/reverse lunges after you squat, and so on so forth with each movement pattern. In the case of the bench press, you could implement the guillotine press to recruit more upper pecs. 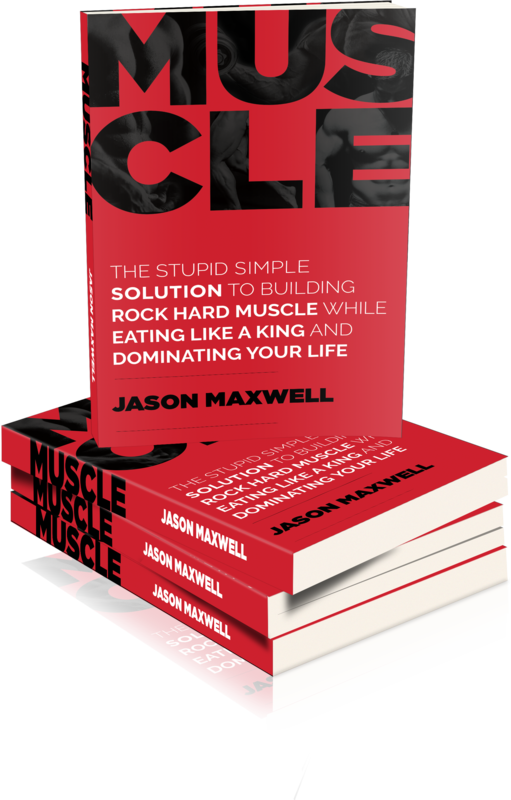 Here is an excellent sample RPT program that exclusively uses the barbell and squat rack as training tool. Now, the results from such a program depend on the trainee. With such low volume prescribed, it is up to each trainee to be able to push themselves to the intensity level needed on each set – no, each rep – to create the necessary stimulus for growth. You can stimulate growth by half-assing a ton of reps at a light weight. This requires fortitude, focus, and grit. But it is worth it. In four months of following almost exactly the above program, I gained I went from ~200 to ~215 lbs, and still kept my abs. I wasn’t counting calories, just eating intuitively, but I was lifting with absolute savage focus. Every rep was a battle, and every set a small war. In the end, though, I felt victorious: I was nearly overhead pressing my bodyweight for reps, and hitting sets of 5 and 6 at 445 on the deadlift. Not competitive by any means, but that’s not my goal. My goal is to be stronger and better than I was the day before, so that I can conquer my actual job (which is opera singing and fitness coaching, not powerlifting). As I’m fond of reminding my clients, an awesome body should complement your life, not run it. Reverse Pyramid Training frees up 2-3 hours of your week from training, while adding strength and mass to your frame. It engrains foundational movement patterns and strength principles while yielding advanced results. If I were bound to the barbell, an RPT-based program would be the first place I’d start. Michael Hewitt is an opera singer and iron slinger. He runs a select virtual fitness and lifestyle coaching program, Statue Jacked Foundations, and sings operas around the world. He is the creator and co-host of the hit podcast "Music & Weights", available on iTunes and Spotify. Catch him this spring onstage at The Kennedy Center in Puccini's Tosca as war-hero-turned-vigilante, Angelotti. Got a question? Hate what he's written? Want to hear him sing? Hit him up on Instagram.